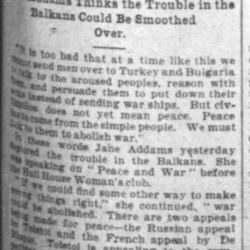 Jane Addams Thinks the Trouble in the Balkans Could Be Smoothed Over. "It is too bad that at a time like this we must send men over to Turkey and Bulgaria to talk to the aroused peoples, reason with them, and persuade them to put down their [arms?] instead of sending war ships. But civilization does not yet mean peace. Peace has to come from the simple people. We must look to them to abolish war." 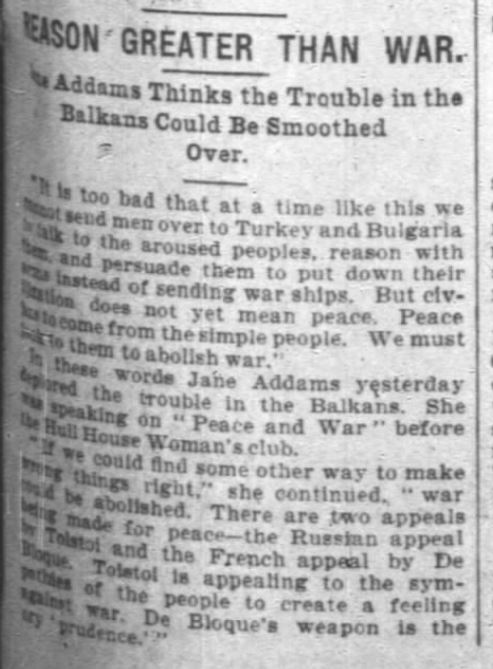 In these words Jane Addams yesterday deplored the trouble in the Balkans. 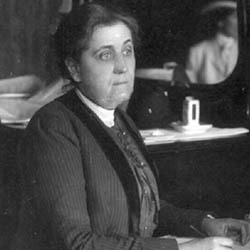 She was speaking on "Peace and War" before the Hull House Woman's club. "If we could find some other way to make wrong things right," she continued, "war could be abolished. There are two appeals being made for peace -- the Russian appeal by [Tolstoy] and the French appeal by De Bloque. 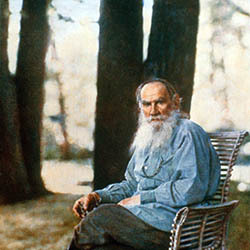 [Tolstoy] is appealing to the sympathies of the people to create a feeling against war. De Bloque's weapon is the cry 'prudence.'" Reason Greater than War. 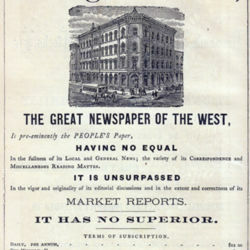 Chicago Tribune, September 17, 1903, 5. 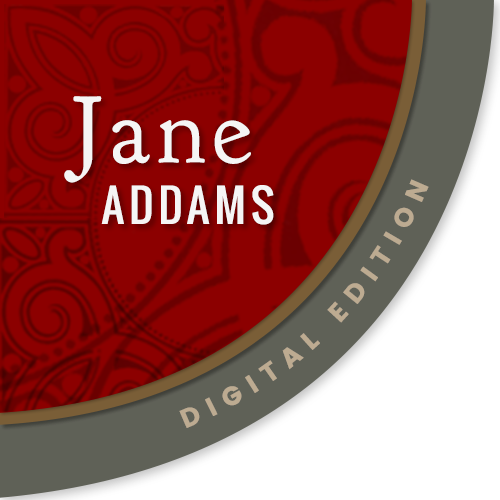 Addams, Jane, “Peace and War, September 16, 1903 (excerpts),” Jane Addams Digital Edition, accessed April 22, 2019, https://digital.janeaddams.ramapo.edu/items/show/6706.